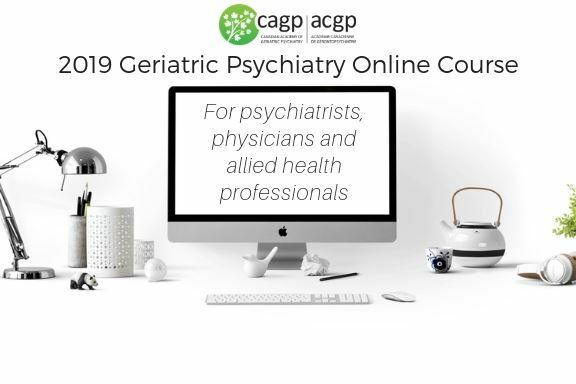 Registration for the 2019 Geriatric Psychiatry Online Course is now full! Please email cagp@secretariatcentral.com to add your name to the wait list. Participants will receive login information after registration fees are paid in full. Please click here to view the Website Terms of Service, if you do not wish to be bound by the terms please note that you will be removed from the course.